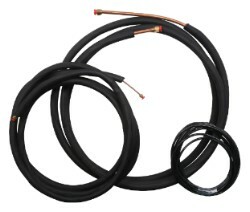 Ideal-Air™ Line Sets are required for installation of the Ideal-Air™ 5 Ton Split System (701706). 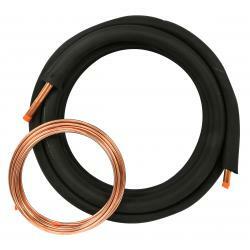 The Ideal-Air™ Line Set is insulated copper refrigerant line. 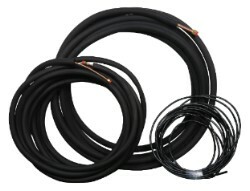 Tube diameters for both 700813 and 700814 are 1-1/8 in and 3/8 in. 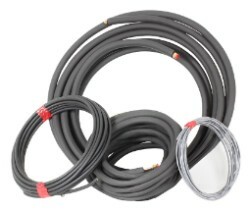 700814 is 25 feet long and 700813 is 50 feet long. 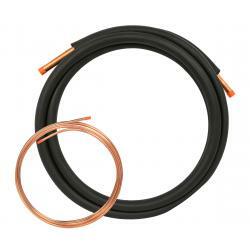 NOTE: Copper Reducer Coupling is required for line set installation. Must be purchased separately - item 700812.